Visitor health insurance is designed for the many people who are visitors to USA or are traveling outside their home country. Visitor insurance is a variation of the domestic health and wellness insurance coverage that people buy for medical coverage and travel benefits within their home country. Whether it is you or a family member who plans to travel to a foreign destination to meet extended family or friends or on a dream holiday trip, it is important that they are covered with the optimum protection and guarded for medical emergencies and health risks that may arise unexpectedly. Buying a visitor medical insurance policy and getting the ID card fulfillment kit online on VisitorsHealth.com is the best way for every visitor to USA or any international traveler to get shielded against the medical and other travel related expenses. Why is Visitor Insurance Coverage Needed? A visitor insurance coverage is always need even if such a policy is not always necessary to satisfy US visitor visa or entry restrictions of the visiting host nation such as USA, UK, Canada, Australia and Europe. This is simply because the higher expense associated with medical treatment and therapy. The expenses incurred in countries like India, China, Russia, Korea, etc. is really reduced compared to the remedy expenses in visiting host nations, mainly due to the sophisticated diagnostics and best medical facilities that are readily available for care and service. These plans also cover new immigrants to America or other developed nations that have higher healthcare costs. 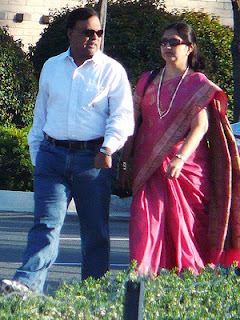 In view of the large number of expatriate Indians, Chinese other expats settled in America and other western nations, visitors insurance for parents is a popular choice for elder relatives, in-laws or parents who plan on visiting their children in USA to stay protected. These short-term plans offer travel health insurance coverage for the unexpected medical emergencies, also a host of travel insurance features such as baggage loss, loss of passports, etc. It is recommended to buy visitors insurance for parents with comprehensive coverage. Be aware of the health situation and pre-existing medical conditions of your parents before selecting the plan, coverage for visitors offered by these plans are designed to suit the requirements of different age groups. If your visiting parent or relative or other family member has been diagnosed or treated with a pre-existing medical condition prior to the purchase of the policy, you can buy a visitor insurance pre-existing condition to cover for acute or sudden relapse of these conditions. By buying a visitors insurance policy, you will get the support in paying medical bills that arise due to the treatment of such emergencies. Whether you are visiting the US for a short span or for an extended holiday, it is not possible to shoulder all the health risks on your own. However, with a suitable visitor health insurance plan by your side, you can transfer these to the policy and also get access to the quality healthcare whenever the need arises. Visitor health insurance becomes absolutely mandatory if you have to stay clear of those extreme healthcare expenses for medical therapy. With the increasing number of emergency cases being reported, people are getting increasingly conscious about their family health and wellbeing. Especially if you are expecting visitors from a foreign country, you need to bank upon a reliable visitor health insurance policy to help them enjoy a stress free holiday. Buying a plan is simple on VisitorsHealth.com, you can easily compare different policies to find the one that comes with affordable premium and offers extensive coverage benefits and features. Choice of the right visitor medical insurance policy can make the stay of your visitors worry-free, and peace of mind for you. 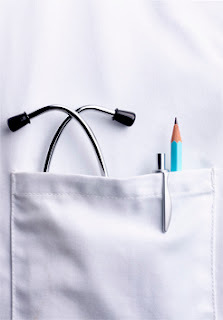 Anyone visiting USA or any other country as a short-term visitor there needs to fully comprehend the topic of visitor medical insurance, specifically understanding what it is, why it will help you, and how to quote, apply, buy a policy online. Visitors insurance will greatly help visitors outside their home country to enjoy a worry-free stay, allowing them to relax and travel tension-free. To address this market, many U.S. based visitor insurance providers have design a solution offing affordable visitors insurance plans that caters to this very need of medical protection during a health emergency due to any injury or sickness. Visitor medical insurance plans vary in cost and feature offerings depending on the type of policy you choose. Low-cost visitor health insurance plans starts as low as a dollar a day, plans that offer comprehensive features such as maximum coverage amounts not limited for each medical condition are priced a little higher. This policy can be purchased by the travelers themselves, by their friends or relatives, or by anyone on behalf of anyone else. The coverage duration defines the policy period and typically ranges from as short as five days, with certain plans offering terms up to three years. Visitor health insurance may seem too much and an unwanted cost to already tight travel budgets. While planning the holiday or even a business trip, no one includes extra money if they were to get sick or injured when on vacation, studying abroad, or attending an international work conference. The cost of care in western nations is significantly high, it is always prudent to weigh the risks of such health emergencies and factor the costs of much needed medical care against the costs of purchasing a visitor medical insurance policy. This reasoning will help you address if you can you afford the medical bills out of pocket costs for a in-patient hospital admission if you are more seriously injured or have a heart attack, stroke. There are a number of visitors medical insurance providers, several reputed A and A++ rated insurance companies, each offering several competing plans with similar features sets. Reviewing and selecting the best visitor insurance can become cumbersome task for many who find the insurance terms and lingo hard to comprehend. Everyone wants the best and cheapest policy out there offering the maximum benefits, but this does not come in a single package. One plan might meet the needs of one individual but not another, a good health insurance agent can help you pick a policy that exactly suits your health conditions, your budget and your specific visa requirements. VisitorsHealthInsurance.com can help you in your quest to find the best visitor insurance for you age, your budget, and your medical need. There are many visitors insurance plans available with the same objective and similar benefits being offered, however there are subtle differences in terms of features and cost which the insurance agent can help you sift through. Before applying and purchasing any plan, always review the plan brochure and compare plans also. Reading the visitor insurance 101 and visitor insurance FAQ will also help you distill the information necessary to buy the visitor medical insurance aptly suited for your needs. When we visit USA or travel outside our home country to other nations all over the world, we worry more about their flight schedule, airline tickets, checked-in or carry-on baggage, and many other less important issues. While we are busy focusing on these mundane activities, we tend to forget that we also need to consider our health in the event of an emergency or sickness during our travel and short term stay outside or home country borders, where our domestic health insurance will typically not offer coverage. 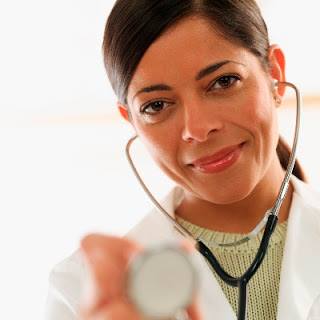 To medically protect oneself and or family, purchasing a good visitor health insurance policy is the best solution. Visitors health insurance policies helps you to pay for medical bills and also find medical assistance in case of an injury or sickness when visiting USA or any other foreign country. We also need to gain some basic knowledge of the rules of how visitor insurance works. Unlike most medical insurance policies, visitor health insurance plans is only valid for the short duration of coverage. With a little bit of planning and knowledge of these basic tips will surely help you in buying the correct visitor insurance plan. 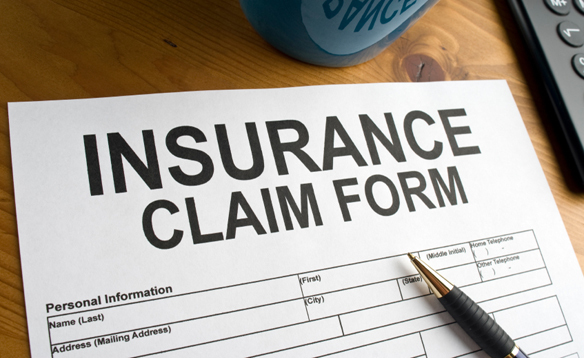 It is good to know about the different types of visitor insurance policies available. Make sure that you read the fine print of each policy that you find and this detail can be found in the plan brochure. Visitor insurance plans typically have a deductible, the amount that you have to first pay for eligible medical bills out of your own pocket and cross before the insurance company will start to reimburse you. A high deductible plan will have a lower quoted premium rate and vice versa. Read the visitors insurance 101 for in-depth understanding on how these plans work. Review the different visitor medical insurance plans in advance to apply and purchase a plan that best suits your budget and needs. When deciding on a visitor insurance plan, make sure that you read the fine print thoroughly also so that you will not be surprised when a submitted claim is not accepted. An analysis of the plan brochure will help you decide better from choosing an unreasonable policy that does not match your needs. If you have any pre-existing conditions, buy a plan that offers visitors insurance coverage for acute onset of pre-existing conditions. Visitor medical insurance is mandatory for travelers from certain countries to the United States, while for others it is always a recommended option to always buy a policy before any visit to USA. Whether you are traveling to the USA for business or pleasure holiday, or for other personal reasons such as visiting family or friends, you can protect yourself with visitor health insurance. This type of travel medical insurance will cover the visitors health for the duration of travel to USA or any other nation. Like other medical plans, it provides coverage for expenses that are related to qualified medical charges and fees due to injuries due to accidents or illness due to most sickness. Your budget for visitor insurance will determine whether you can purchase a schedule benefits plan and a comprehensive benefits plan. You should also take into account the nature of your visit, and the likelihood that you'll need the benefits offered by one plan, versus the other. Generally, older folks overage age 50 years would benefit from a comprehensive plan as they are more likely to fall sick or injured that could need additional medical attention. Visitors health insurance plan that is comprehensive will cover you in case of any important surgery or extended hospital stay should you require it, up to maximum selected amount. How much of coverage you can opt for will also depend on what you can afford. So it is important to also consider your budget. These plans can also be taken on a single trip, multi-trip or extended stay visitors who can renew a policy for a longer term. You can avoid limits on your medical expenses by paying more for a comprehensive visitor insurance plan. Once you pay your deductible, you are covered up to maximum of the policy amount selected. Some companies require that you also pay an additional percentage termed as co-insurance on the first $5,000 of eligible medical expenses before insurance plan reimburses the full 100 percent to the plan maximum. A more affordable type of visitor medical insurance for people visiting the United States is the scheduled benefits plan. The insurance company will pay for each expense, up to a certain amount. In case if you need a laboratory or some other diagnostic test, the insurance company may only pay up to a certain set amount as listed in the schedule of benefits in the plan brochure. If the bill exceeds this set amount, then you would have to pay the difference in the set cost and the actual billed amount. Most scheduled benefit plans require that you pay a deductible first, and then the company will pay the remaining bill up the set maximum for each medical condition. Certain visitor insurance plans cover certain pre-existing conditions and diseases under life threatening situations, with age and other restrictions that may apply. So, before choosing any visitor medical insurance for your parents or relatives, it is better if you do your research by comparing the plan benefits, coverage options, and quoted premium cost offered by various branded visitor insurance plans. On VisitorsHealthInsurance.com, you can simply compare medical insurance plans provided by various insurance companies using the online plan comparison tools. You can get quotes on plans chosen by you and if you do like any particular policy, you can apply and purchase the same using a credit card, debit card or even a personal check. Some of the best available visitor medical insurance plans are typically underwritten by U.S. based travel insurance companies. This is important because it ensures that medical caregivers and providers will accept an American visitor insurance coverage more readily. 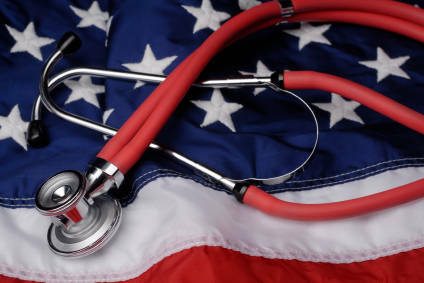 You may pay more coverage purchased in the USA, but you can also obtain some peace of mind knowing that you will be surely covered in the case of an health emergency in the US. You will also save money up front, because the other option is to pay all of your expenses out of pocket and wait to be reimbursed from the insurance company. While considering all options before purchasing any visitor health insurance policy, make sure you are looking at US based visitor insurance firms. Read about visitor insurance reviews and customer testimonials to know the past experiences of other people who have purchased that policy before you, With so many different rates and offers it would be wise and a good idea to also discuss the plans in consideration with your colleagues or family before making a final decision. 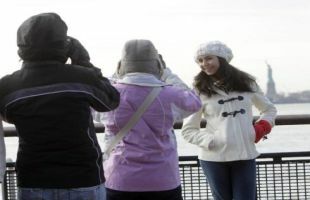 Every year, many visitors to USA embark on the distant voyage to America, although predominantly by air travel these days. But, before the journey there lies a lot of planning on many fronts. This article discuses the importance and need for medical insurance for visitors to USA, or any other foreign country, and why it is considered a must. If you want to travel to the US as a visitor, you must possess a valid visa which is issued by the US consulate. A visa application must be submitted to the US consulate by the traveler, in his or her home country. After the US visitor visa is issued by the American consulate, the applicant is required to purchase air tickets valid for travel to the US. Last but not least, a good travel medical insurance that offers health coverage and medical protection for the duration of their stay in the US is absolutely necessary. Visitor medical insurance is a type of travel health insurance which is required mainly during travel outside one's home country borders to any international destination including USA. Visitor health insurance provides medical coverage for the visitors visiting the US. It is short-term insurance policy and it provides coverage only for the period of your stay in the US. Anyone can purchase this policy on behalf of anyone or for self, hence it is ideal for US residents to buy visitor insurance coverage for relatives, parents and friends who are traveling to the US as tourists. Visitor insurance covers injuries, accidents, or illness during your stay and travel within the US, taking care of your medical expenses such as hospital bills, doctor’s fee, surgery, pharmacy and other medical expenses. Upon purchase, you will receive the I.D cards and proof of coverage document which the traveler can show as proof of visitor travel insurance to the US consulate, at the time of applying for the visitor visa. Medical insurance is particularly important for people immigrating to the US from countries such as India, China, Russia, Brazil, Canada, Mexico, UK, Germany, France etc., as most of the immigrants from these countries have their parents visiting them in USA. 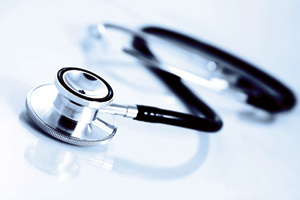 Medical insurance is especially recommended for elderly people who might need medical care during their time of visit. 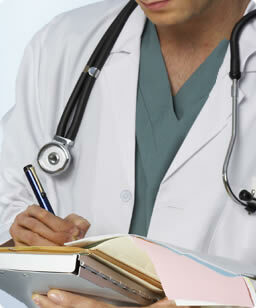 Visitor medical insurance plans can be obtained prior to the travel or after starting the travel. Fixed benefit visitor insurance plans cost less but also offer limited coverage. Comprehensive coverage plans provide much more benefit features and also affordable. Insurance with fixed benefits provides only less coverage whereas the comprehensive plan offers more coverage. Visitor insurance can be bought for a period of five days or more and can be renewed also up to a year or more. The coverage benefits will commence from the next day after you purchase the plan, or any future date of your choice. 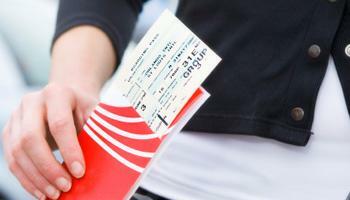 If you want to travel free of trouble you must travel with a visitor medical insurance.